I was completely satisfied in terms of value for money. I was also totally grateful for the customer service, especially Peter in the morning when I was waiting for the Skybus! fairly central location, very friendly and helpful reception staff - Thanks! We really enjoyed our stay in Melbourne. The hotel location and our room was excellent. We thought the reception staff were very professional, however they were not overly friendly or welcoming. 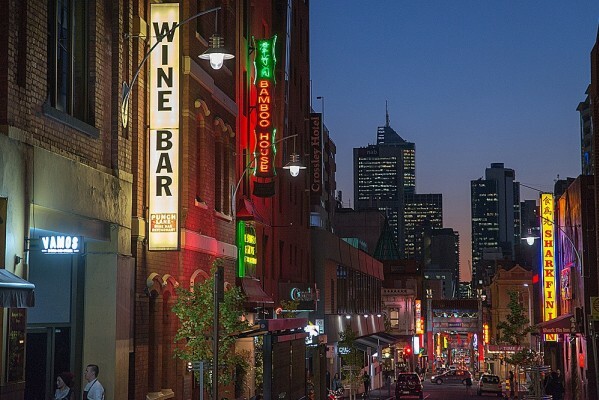 We would definitely recommend City Limits Hotel to anyone travelling to Melbourne. A recommendable hotel with spacious apartments. Our 2nd time at CityLimits and it won't be our last. Wonderful place to stay - the service, location, comfortable room and breakfast included, what else could you ask for! Really convenient and quiet location. Comfortable and good value. Perfect place to base yourself to investigate a wonderful city! Perfect location within walking distance to most areas of interest including restaurants and shopping. I will be recommending your hotel to my friends and colleagues on the mid north coast of NSW who would like a short break in Melbourne. Very pleasant hotel. Car parking is very handy. A lot of Melbourne hotels you have to drive to a seperate public car park. We stayed on the 8th floor so got no street noise but I think someone next door had the odd cigarette that wafted right through out the floor. If the neighbours are a bit loud next door you can hear them easily enough, but probably only a problem if you get stuck next to a feral family. Overall enjoyed the hotel, close to theatres great bars and restaurants (chinatown) and trams on Bourke and Collins street make access to the rest of Melbourne very easy. The supplied continental breakfast, while not exciting (toast and cereal) is very handy and a good idea. Clean, spacious studio apartment with compact kitchenette and good sized bathroom. Enjoyed our stay and would stay here again. We were very happy with the value for money and the friendly staff - overall a great location and comfortable clean room - thank you! Husband, 14 y.o daughter and I had 3 day stay in triple studio on 7th floor. No traffic noise. Very pleased with service, room facilities, comfort, cleanliness and friendly, helpful, but unobtrusive, staff. Light breakfast simple but ideal. Good location, handy to rail station and tram stops, shopping and restaurants. Great value - we have stayed in international hotel chains with smaller rooms than the triple studio we were in. No hesitation in recommending to others. Very enjoyable. Can't give you 100% excellent as then you'd have nothing to strive for !! We wouldn't stay anywhere else now. It is just so convenient to everything, esp with the City Circle only a few metres away in Spring St.
We found the staff very helpful, polite and courteous. A great stay only one comment the shower gel should be checked when the rooms are cleaned, ours was out of gel but I forgot to mention it to the desk. we really enjoyed our stay with you the staff were wonderful and helped with the internet, we were very comfortable, liked having breakfast there for us! can't fault it, the position of the hotel is just right so close to everything. Very cosy and clean apartment with excellent services and friendly staff. We enjoyed our stay at City Limits very much and would stay again when we return to Melbourne. Keep up all the excellent works! Cheers! Good spot. Nice to have a conti breakfast. Nice to have a flat screen tele. Very good value for money, convenient and comfortable. City Limits was great. The breakfast was a bonus even tho it was only ceral and toast. Location perfect, lovely comfortable beds and beautiful girls on the desk. Would definitely recommend this accommodation. Bathroom a little tired but over all great budget hotel. Very comfortable andd always clean. Fantastic place to stay. Easy to get around the city from here. Staff were very friendly. Rooms were clean and comfortable. Everything you need for a perfect stay. Nothing negative about our stay. We will be back and will recommend to our friends. excellent, the bed was very comfortable. room was clean, and when required staff were prompt to attend. for a short stay we did not use cooking amenities, but it was good to have them there if we wanted to cook rather than eat out. my wife and I thank you for making our stay a pleasent experience combined with a show at the Regent, a memorable one.